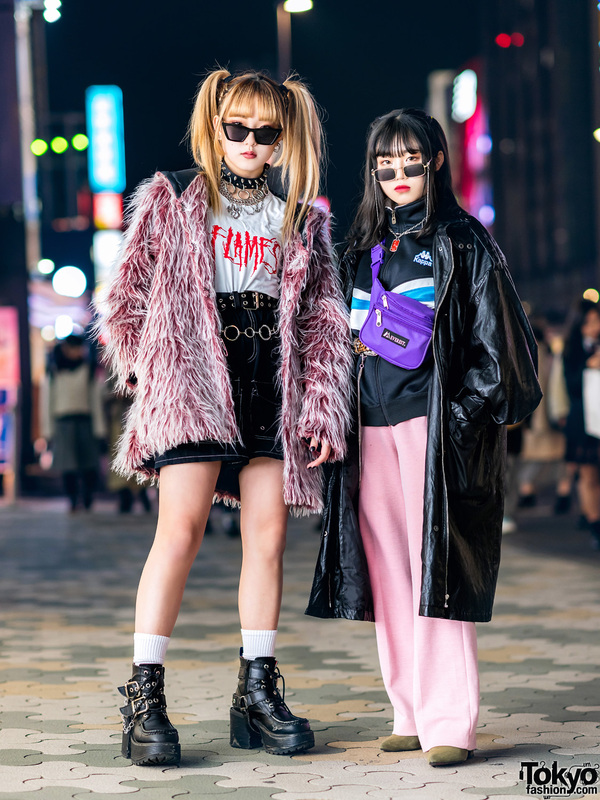 This is Sa-yan, a 19-year-old student with a cute sense of style who we spotted in Harajuku. Her hairstyle includes braided twin tails and bangs. Sa-yan is wearing a coat from the Harajuku brand Milk (with spades, hearts, diamonds, and clubs buttons) over a Nile Perch dress, pastel socks, and white creepers with cork soles and ribbon laces. 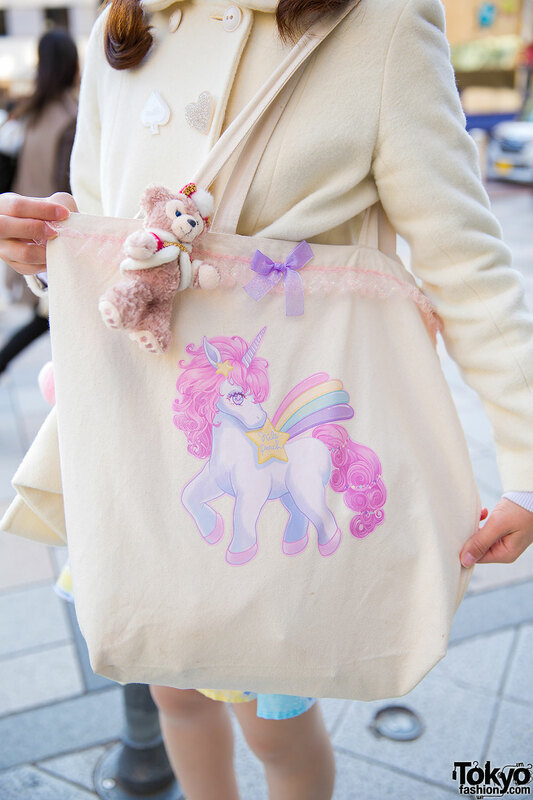 Her unicorn tote bag is also from Nile Perch. Sa-yan told us that her favorite fashion brands are Nile Perch, Milk and Swankiss, and that her favorite band is Doll Elements. Beautiful, adore that unicorn tote, it’s so cute!